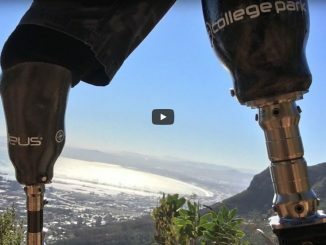 If you’ve hiked up Table Mountain via Platteklip Gorge in recent years, the odds are quite good that you have come across local hero Achmat Jackson. 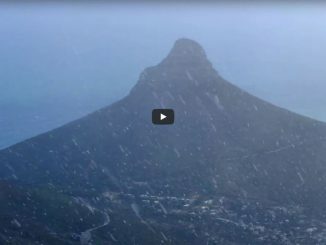 If you think that’s an exaggeration, consider that Achmat has been up Platteklip a total of 1048 times since 2008, which is when he started recording his ascents. His goal has been to do it at least 100 times per year since then, and at the time of writing (16 Oct) he has already done it 106 times in 2017. 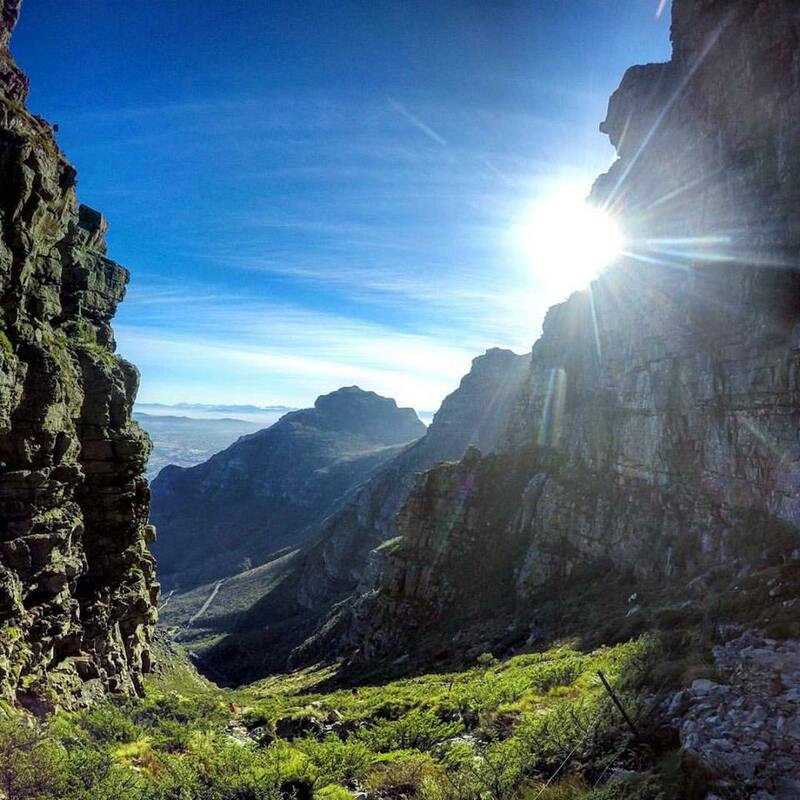 For good measure: Platteklip ascends roughly 700m over 3km – a challenge of note. 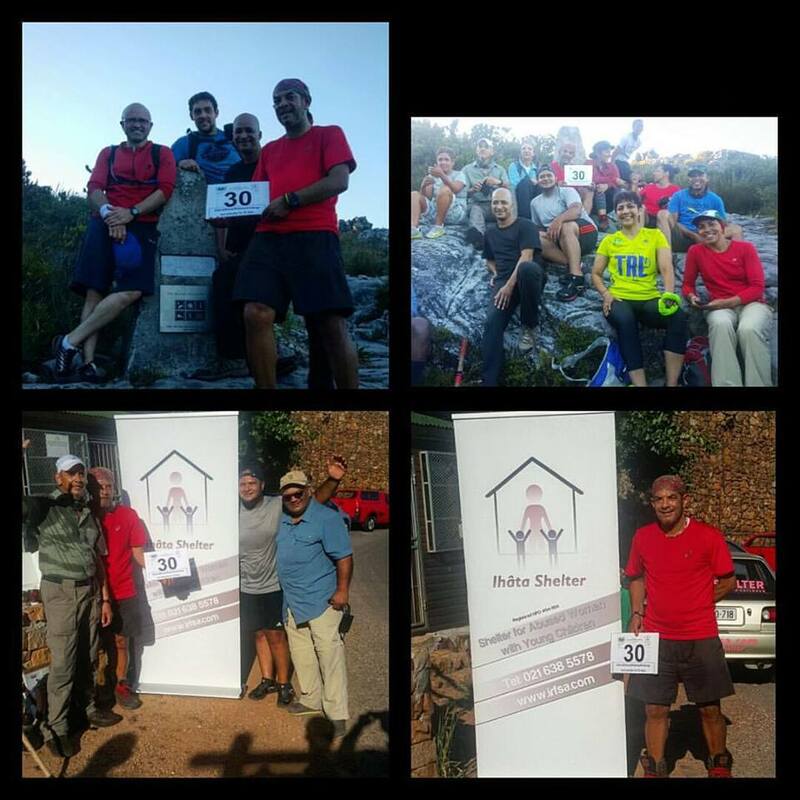 Achmat made the newspapers in 2015 with his 30-in-30 initiative, where he ascended Platteklip 30 times in 30 days in support of the Ihata Shelter for Abused Women in Heideveld. Celebrating the successful completion of 30-in-30. 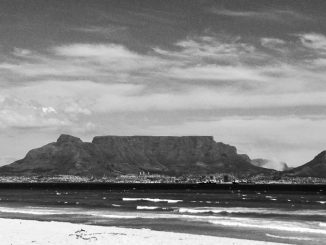 Hiking South Africa caught up with Achmat to learn more about this intrepid hiker. HSA: How old are you and where do you live? AJ: I’m 56 and live in Bonteheuwel in the Cape Flats. HSA: When did you start hiking? AJ: I’ve been hiking for more than 20 years. HSA: Your favourite hike/hiking area? AJ: Platteklip is my favourite as it tests your mental and physical endurance. For the record: it does not get easier with time. HSA: Your favourite piece of hiking garb/gear? AJ: Salomon men’s Quest 4D 2 GTX hiking boot – it’s light and has reliable grip. AJ: Hiking gives me peace of mind – away from everyday stress and being in nature. I do it for the passion and my love for the outdoors. 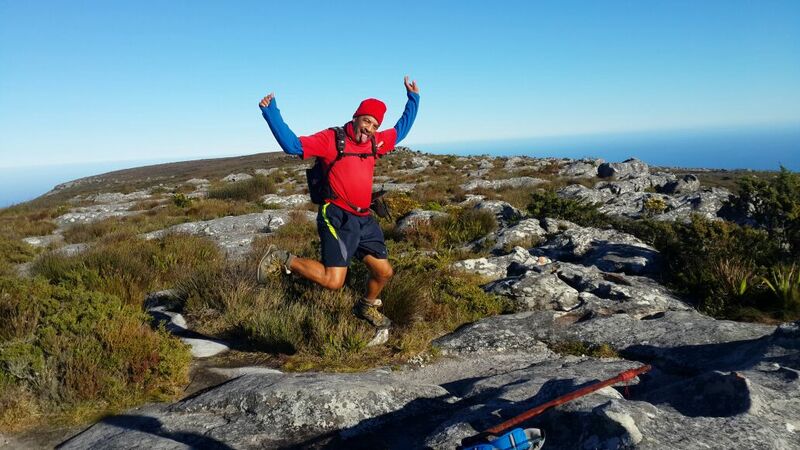 Celebrating after his 100th ascent of Platteklip for 2017. HSA: Your achievements on Platteklip are exceptional. What motivates you? AJ: In 2010, I did my first Platteklip Charity Challenge for fund raising for the disadvantaged. I easily did 6 summits in one day for the challenge. It was great to do something I love and give back at the same time. Achmat has an impressive hiking resume: he has done a great deal of the local multi-day hikes, and some of his more noteworthy international achievements are reaching the top of Kilimanjaro 3 times, summiting Mount Kenya, Mount Elbrus (highest peak in Europe), Aconcagua (highest peak in the Southern and Western hemispheres), he trekked to Everest Base Camp and did the Inca trail in Peru. 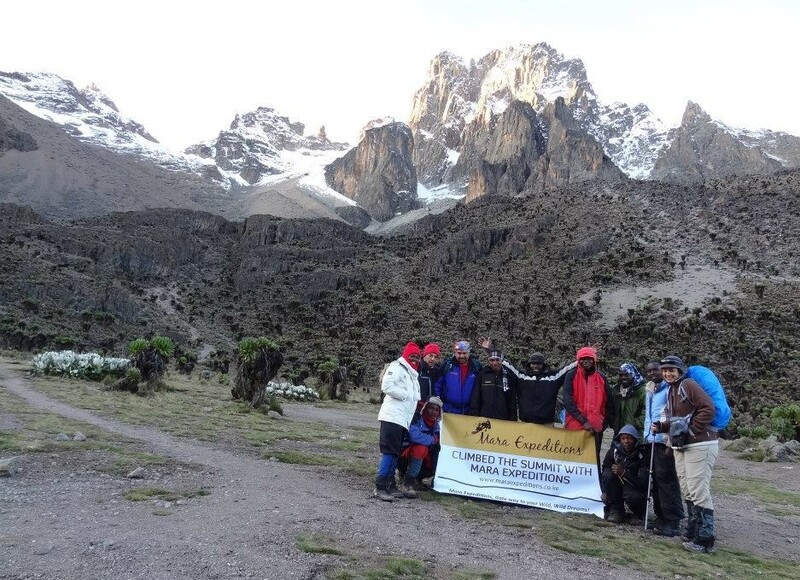 Achmat and the team near Mt Kenya. HSA: What is your hiking dream? AJ: To one day climb Mount Everest and complete the Seven Summits. When Achmat is not going up-and-down Platteklip he is running Achmat Jackson Adventures (www.ajadventures.com) where he offers his services as an accredited mountain guide, team building facilitator and he engages in social initiatives. It is worth noting that, like most of us, Achmat was until recently still in an office job – I trust that provides some inspiration! 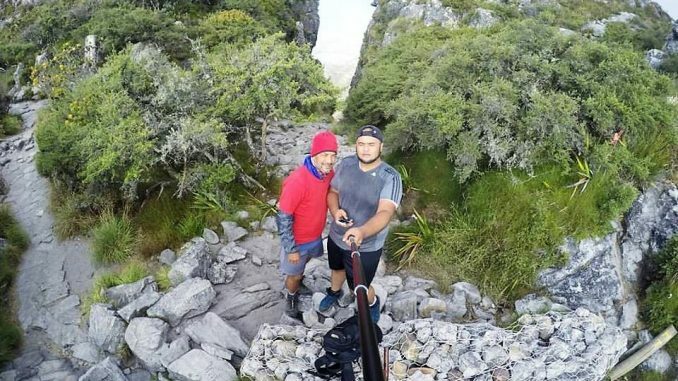 When you’re going up Platteklip again keep an eye out for Achmat and be sure to have a quick chat with the friendly hiking hero from Bonteheuwel. 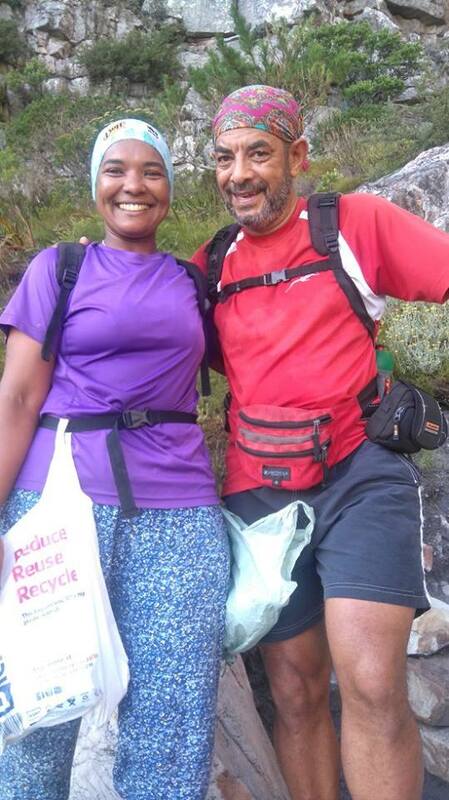 Achmat and Fatima Sait on Platteklip – complete with bags for picking up litter. Do you know an everyday hiking hero? Send us an email (info@hikingsouthafrica.co.za) with their contact details and why you think they should be nominated. Well done Achmat….Achmat was my coach in preparation for my kilimanjaro trip in September 2016,without his help I would not be able to summit the highest mountain in Africa.It was a 10 week training programme which includedo endurance,strength and controlin the mind program. Awesome Achmat♡♡♡doing us proud MaashaA’Allah! Achies!!! Well done my brother.